Hosting a Seder celebration can be intimidating – hours of preparation and slaving over the stove to create culinary masterpieces is no small feat. Let us help with at least one area of preparation – table settings. This classic textured pattern will be at home on any table, and with such a simple pattern you’ll have matching placemats for all of your guests in no time. The stripes can be knitted as shown or moved throughout the pattern to suit your creative fancy. This placemat features Rowan Creative Linen in Phlox (644), Natural (621), and Stormy (635) as seen here, but this yarn is available in a selection of fabulous shades to suit any decor. This fabulous felted bag is a showstopper table setting to hold the wine you’ll have for your Seder feast. The wine cozy requires beginner crochet skills for finishing and uses DPNs to knit the body. The two shades of yarn are held together to knit the main piece, and used separately for the embellishment after felting. Note: testing your yarn for felting is crucial to determine size. We recommend Rico Creative Filz in shades Purple (17) and Olive Green (44). This gorgeous and celebratory table runner is a fantastic project for lace beginners. This pattern is charted and written, and featured worsted, aran weight yarn. We love Twilleys Freedom Alfresco Aran – machine washable and a delight to knit with. You can’t go wrong with Bracken (107) or Dragonfly (108). This classic feather and fan pattern is a beautiful addition to any table for any occasion. The contrast of the shades enhances the subtle ebb and flow of the lace work – show off your skills! This pattern features Sublime Egyptian Cotton DK yarn in Dusty Blue (387) and Rush Hour (324). A great introduction to beading, we can’t get enough of this innovative design. Using sock yarn in a simple stockinette stitch and beads to depict well-known constellations including the Big Dipper, Cassiopeia, Orion, and the Southern Cross, these napkin rings are a hit no matter the season. We love King Cole Merino Blend 4 ply in Slate Blue (096) or Petrol (926). How will you be decorating your Seder table this year? Last updated: April 1st, 2015. I would love the instructions for Ocean Placemats by Anna Ravenscroft. No information given on how to get the patterns. I am really enjoying working on my cable cardigan that I got on your site. Thanks so much. I would love the instructions for the place mats and the table runner. Can you tell me where I can find them? Thank you for posting these items. How to buy the pattern downloads: Click on the images to download the patterns. 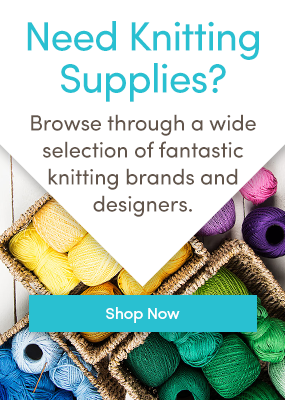 Add the pattern to your basket, and select ‘Go to Checkout’ – this requires you to create an account with LoveKnitting. If you’ve already shopped with us, then you will already have an account and can simply sign in. Follow the checkout process to receive the download.